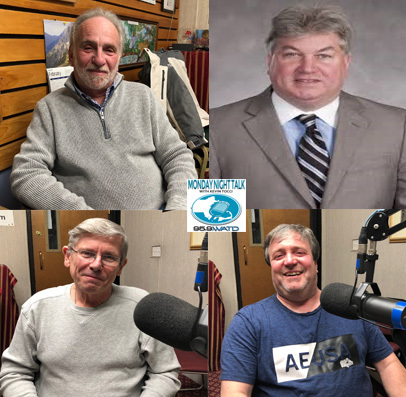 Check out the Monday Night Talk radio program from February 18, 2019 featuring State Senator Mike Brady; Richard Rosen, owner of McGuiggan's Pub & The Patio at McGuiggan's; Glen Cornell, Director of the Plymouth County Beekeepers Association's Bee School and Michael Ganshirt, President of the Whitman Hanson Dollars For Scholars!!! If you're a fan of the show and enjoy our segments, you can either download your favorite segment from this site or subscribe to our podcasts through iTunes today! 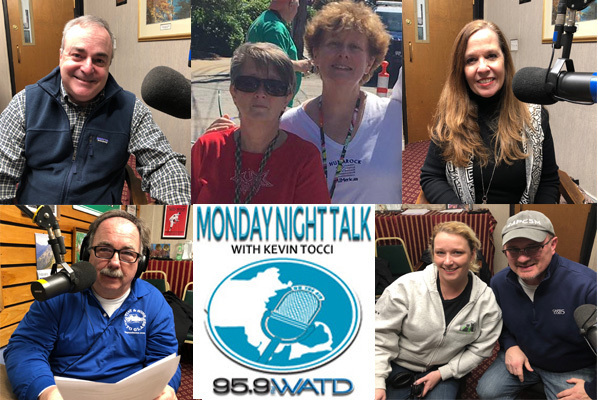 © Monday Night Talk with Kevin Tocci - 2019. Unauthorized use and/or duplication of this material without express and written permission from the show host and/or owner is strictly prohibited. 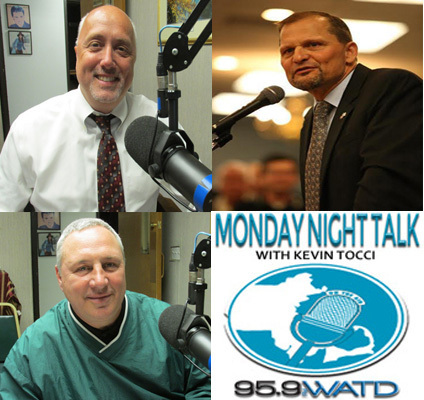 Welcome to the Monday Night Talk radio show podcast from February 11, 2019 featuring Brockton Mayor Bill Carpenter; Weymouth Mayor Bob Hedlund; Alex Bezanson, Chairman of the Plymouth County Democratic League and Roy Paul, Executive Director of Cents Ability. 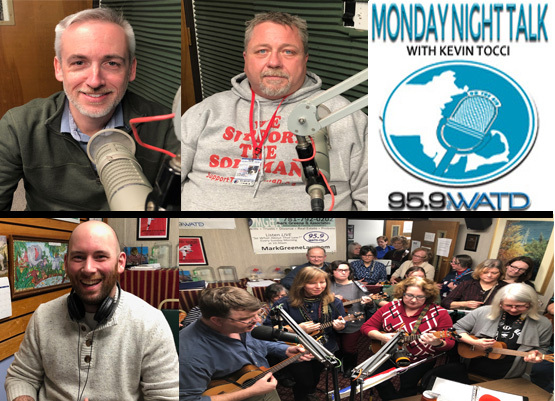 Check out the Monday Night Talk radio program from February 4, 2019 featuring State Representative Josh Cutler; Peter "Soupman" Kelleher from SupporttheSoupman.org; Joe Weeks, Director of Policy with the Massachusetts Mental Health Counselors Association and Cynthia Miller & The Unlikely Strummers!! !